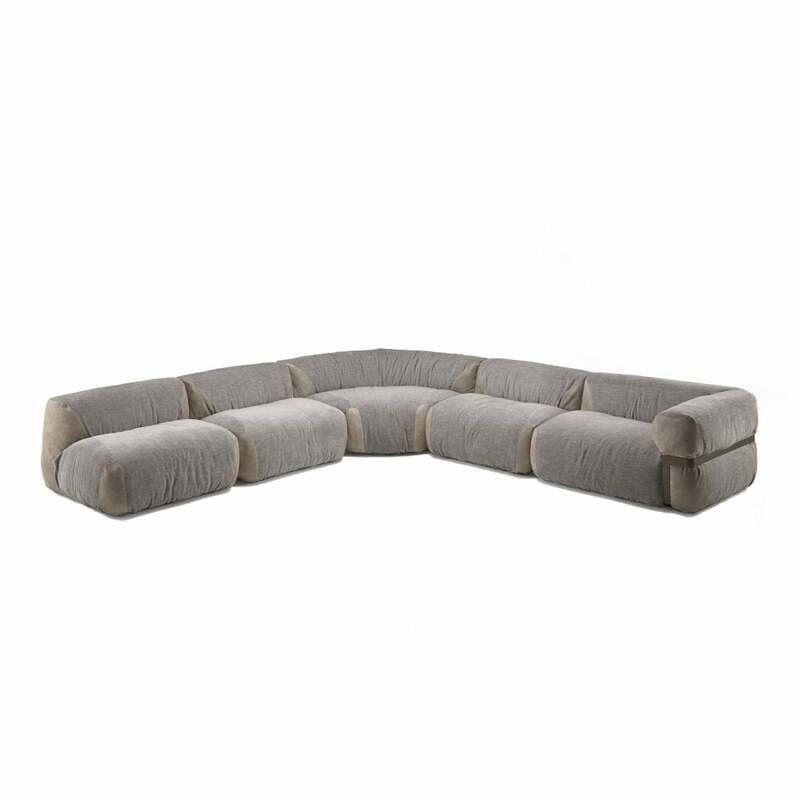 The Lotus by Manzoni & Tapinassi is a reworking of the conventional sectional sofa. Its soft, round lines and down padding enwrap the body and provide a high level of comfort. The metal frame is available in a subtle micaceous brown stain or galvanized titanium. The decorative corner patches can be personalized by choosing matching or contrasting fabric or leather. Composition comprises of 3 central units 107 cm + round corner + right unit 140 cm. Please contact us to discuss other combinations..